The recently passed Boycott Bill has inspired shockwaves that are reverberating across the Jewish world. Inside Israel there are many questions that have been raised. Here is another example of a private member’s bill (not government initiated) flying under the radar until it’s too late. A healthy parliamentary democracy is usually typified by a very small number of private members bills (Canada only passed 200 in one hundred years). 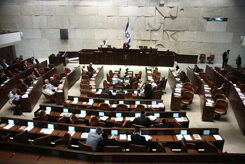 In Israel, there are over a thousand tabled a year, making it almost impossible for the Knesset and its committees to understand what they are actually voting on. It is also a sign of healthy parliamentary democracy for major political figures to take a stand on the big issues of the day. Yet somehow the Prime Minister (Bibi), the Defence Minister (Barak) and the Education Minister (Saar) were all too busy that day to come to the Knesset and vote on the Boycott Law. The American Jewish reaction has also grabbed Israeli public attention. The ADL very publicly called the Boycott Law “a disservice to Israeli society” which “may unduly impinge on the basic democratic rights of Israelis to freedom of speech and freedom of expression.” ZOA reclarified their position, and supported the bill hesitantly while calling it “not perfect”. Not perfect, might have been the nicest thing said about the Boycott law, but while we are preoccupied in endlessly analyzing the strengths and weakness of this bill we are missing another momentous undercurrent; not in Israel but in American Jewish life. The accepted wisdom of Diaspora Jewish involvement in Israeli policy is changing. The long running mantra of: “we support Israel’s right to make policy and don’t deal with the policy itself”, is being eroded. And the time-honored excuse for not intervening in Israeli politics, of not serving in the Army or paying Israeli taxes, is getting weathered. Another recent example of this was the American Jewish pushback on the proposed Conversion Bill, this could still be explained away as not solely interfering with internal Israeli policy as it had direct repercussions on the US Jewish community. But the boycott law cannot be seen in this light. It quite simply offended the sensibilities of First Amendment-loving Jews, and marked a deviation of Israeli policy from the Israel they would like to see. Israel has long been a building block of American Jewish identity, the question is, how does this relationship have to adapt as we see more American Jews aware of, and troubled by, Israeli policy? Does this mark the weakening of ties between the Jewish communities, or a new found dynamism, which will result in American Jews caring more? If the American Jewish Community is beginning to perceive the State of Israel as a battleground for Jewish Identity, and are starting to feel that they have a right to join the conversation, then we are moving towards a more mature and meaningful relationship. However, the majority of Israelis feel, and maybe justifiably so, that Israeli policy should be decided by those living in Israel. Can we develop a new model of American Jewish connection to Israel that is politically aware, yet maintains a distance from direct participation?